Imagine if only one machine alone could eliminate 99.9% of PM2.5, and also reduce carbon dioxide and indoor chemicals throughout your entire indoors? Introducing air-in systems, our revolutionary answer to solving indoor air pollution. Connected to the outdoors with a window attachment, this air superhero works 24/7 to pull in outdoor air, remove chemical contaminants and over 99.9% of PM2.5 pollution and then push this fresh clean air into every corner of your home. Air-in systems are so powerful that they can keep PM2.5 under 10 ug/m even during an airpocalypse. Even with a window cracked open. Outdoor air is pulled through a series of premium filters which remove 99.9% of PM2.5 and filter out outdoor chemicals. An incredibly powerful fan pushes pristine air into every corner of your home. The new clean air constantly pushes out stale polluted indoor air. After a short time, your indoors becomes filled with pollution-free air, much like blowing up a balloon. Constantly adding air indoors also stops all PM2.5 from leaking indoors because your whole home is slightly higher pressure than the outdoors. Picture every leak in your home being like the opening to an air-filled balloon. Air only rushes out when you open the hole. That sounds fine in theory. But wondering if in real life it actually works as well as we promise? That’s ok we understand. 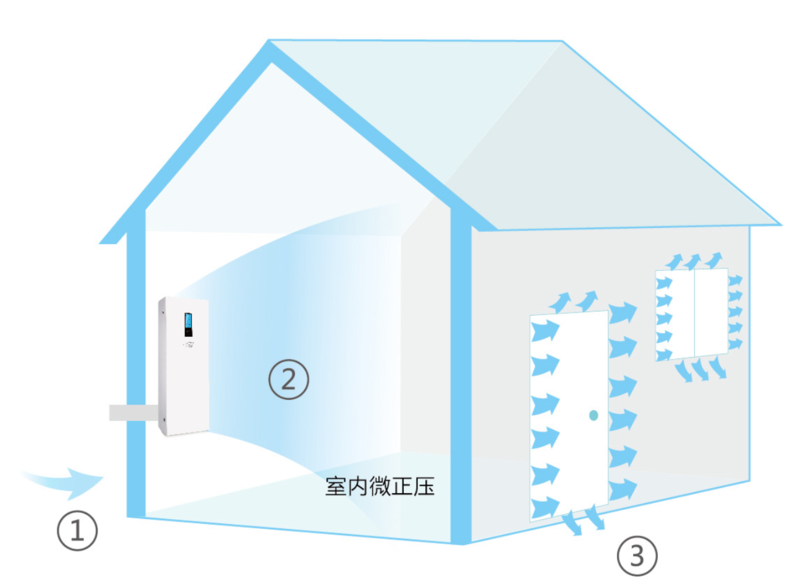 It’s a totally new way to solve indoor air. That’s why we’re offering free trials so you can see it in action for yourself. We even lend you an air monitor so you can test it yourself. Check out our various systems below and join the clean air revolution today! Why settle for anything higher than 1ug/m3 or 1 AQI indoors?